Do you think these would survive subtropical temperatures? What part of Venezuela are they from? Yes! these can survive subtropical zones. 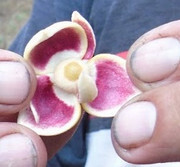 They are from south west of Venezuela, Grow wild and isolated and there are few trees in the zone. Annona Jahnii grow in dry zones.